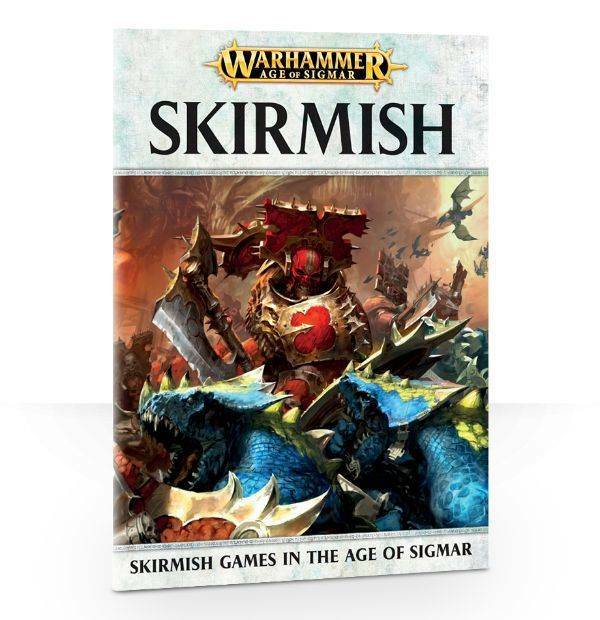 Take command of a small warband of warriors and put your skill, wit and determination to the test with Warhammer Age of Sigmar: Skirmish: a book containing the information and rules needed to fight Skirmish battles – including a hard-fought campaign amidst the ruins of Shadespire! Assemble a small warband of single models and take to the gaming table, building renown and adding to your warband with every glorious victory. - Battleshock: again, tweaked from the core Warhammer Age of Sigmar rules to encourage fast, brutal gaming, Battleshock can turn the tide of war in a single dice roll – you better hope your general is stoic in the face of slaughter! - Clarification regarding summoning and generation of extra attacks and hit rolls in Skirmish games. Included in the book is a linear narrative campaign, pitting two - or with some judicious tweaking, more – players against each other in a series of brutal skirmishes as your warbands fight bitterly over the incredible treasures of Shadespire. This campaign comprises six Battleplans representing a story from the murky dawn of your warbands’ first day on the outskirts of Shadespire, through to the climactic battle that decides the outcome of the whole campaign. Between games, your warbands can earn and spend renown – the more renown earned, the more glory-seekers will join your general on his quest for treasure – and discover Rewards of Battle: charms, glyphs and relics that enhance the abilities of your warband in new and interesting ways. The true test of a general’s mettle is the meeting of equally-matched warbands, where tactics and strategy outweigh sheer numbers when deciding how the battle ends. 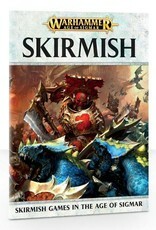 This book contains a guide to putting together your own Matched Play Skirmish battles, with included points values allowing you to assemble matched warbands from models representing each of the four Grand Alliances. Any Battleplan from the General’s Handbook can be used in a Skirmish Matched Play game. Please note, you’ll need a copy of the Warhammer Age of Sigmar core rules (available as a free download) to use this book.